and receive 10% off your first service! Our newsletter includes special offers, plus lots of interesting and fun information. *Don't worry, we won't share your personal information with anyone. 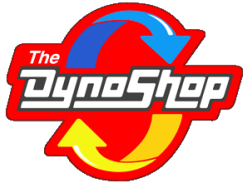 The Dyno Shop is San Diego’s premier performance and automotive repair facility. ​We provide expert automotive maintenance, auto repair and auto tuning service for your car, truck, off-road vehicle, motorhome or hot rod. From engine repair or transmission repair to oil change and smog check (The Dyno Shop is a California certified STAR smog check station! ), we will get the job done, and will do the job right. If you own a business, we will repair and maintain your automotive fleet so you can be more productive. We would love the opportunity to be your choice for all of your automotive service needs. We strive to provide the best in quality work, fair pricing and personal service. We stay on top of new technologies—like diesel performance, fuel injection tuning and installation technology advances—and will expertly perform factory scheduled maintenance on all vehicles, from the newest late-model vehicles to vintage automobiles. Whatever kind of vehicle you own, we can keep it running at it's utmost. Our reputation and commitment to quality work keeps our customers coming back. We are your one stop shop for all of your vehicle's automotive repair and tune-up needs! We've been performing complete auto repairs and high-quality auto tune-ups for more than four decades. We pride ourselves on our old-fashioned values of personal service, expert craftsmanship, and a commitment to quality. We couple these timeless, tried-and-true work ethics with the finest and most modern automotive service equipment available today. We are committed to a continued involvement with training and professional education in all facets of our field and we are proud to have our technicians certified with the Automotive Service Excellence in many fields of automotive and truck repair. We know that there are a lot of automotive service choices out there. Come to our shop next time your car needs service or repair, and we'll take the opportunity to earn your trust by providing you with exemplary service. We are proud of the customer loyalty we’ve developed over the years. Our goal is to make each customer feel they are our number-one priority. We consider it a privilege to work on your vehicle, and will treat it as if it was our own. We'll get the job done quickly, professionally and at a fair price. 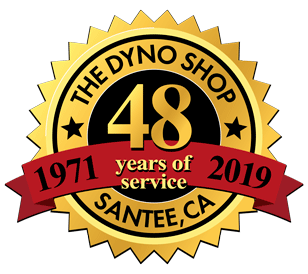 The Dyno Shop is just a short drive from most of San Diego County. We are conveniently located in Santee, Ca, just a stone's throw from Interstate 8, Highway 67, and Highway 52. Hope to see you soon, and thanks for visiting our site.